Approximately 65 scholarships are available each year from the College and from the four academic departments within the College. The application process begins in January. 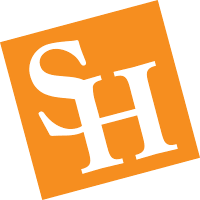 Smith-Hutson Scholarship Program: This scholarship targets incoming freshmen with financial need and academic potential. Funded by an anonymous donor, the scholarship provides up to $14,000 per academic year per student for a maximum of four years. To apply for any of the College of Business Administration Scholarships please use the Scholarships4Kats Scholarship form. General scholarship information can be found at http://www.scholarshiphelp.org.